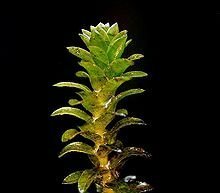 Anacharis, which is sometimes known as Brazilian Water Weed, is one of the best plants to choose to help to oxygenate your goldfish tank. Anacharis originated in South America, but now grows prolifically in North America, Europe and many other regions of the world too. It is at home in the wild in ponds, lakes and slow moving water such as gentle streams and rivers. It is one of the most attractive looking goldfish tank plants, with its long, linear strands of leaves that can range in colour from grass green to a deep dark hue. Anacharis is an easy-care plant that will grow prolifically within the tank, and may require pruning and cutting back if it starts to take over! It grows strongly when placed in direct light, so moderate light levels are your best bet to keep growth under control. It is very hardy and can survive significant variations in temperature. While the plant requires supplemental substrate fertilizer and additional Co2 fertilization in warm water aquariums, in the coldwater goldfish tank the plant will usually thrive without any supplemental additives. Anacharis will root itself in gravel with ease, but can also be used as a surface plant floating freely. It is a great plant for boosting oxygen levels within the tank, and absorbing excess nutrients and minerals. As Anacharis grows and reproduces with ease, one original specimen can renew itself and remain viable within the well cared for goldfish tank for many years. Anacharis is a good pick for keeping with goldfish, and it is also one of their favorite snacks! 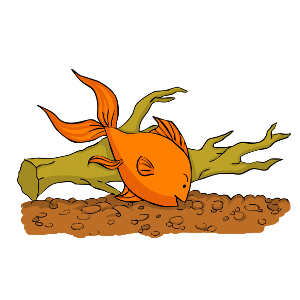 However, your goldfish are unlikely to decimate your Anacharis plants, as they are fast growing, meaning that plant and goldfish can live together symbiotically without any problems! Anacharis is among the most common aquarium plants to find offered for sale, and can be bought from online retailers that mail aquarium plants through the post, as well as in the vast majority of pet shops that keep fish. A single rooted plant can usually be bought for around $3, and sometimes even less. This post is part of our goldfish aquarium plants series. 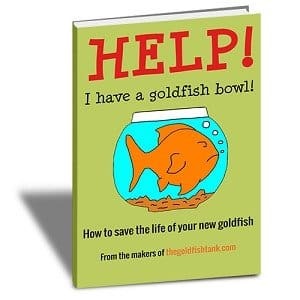 Read about more plants suitable for goldfish tanks now!